Perfect for softening and removing hard callused skin that often remains after a pedicure. With hard working Potassium Hydroxide, lyco’pedi Callus Remover works fast to gently soften calluses, making it easy to buff away callus build up. 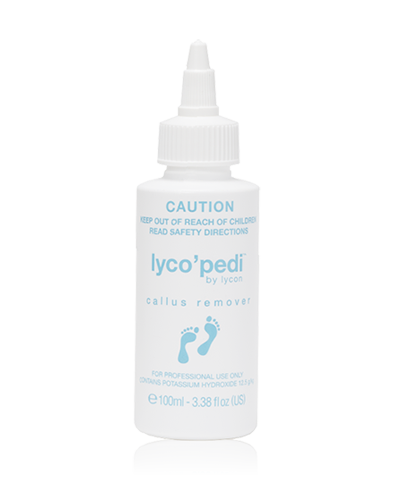 lyco’pedi Callus Remover is also perfect to use as a cuticle remover. It gently softens and helps remove cuticle build-up on and around nails. A non-drip formula for a professional experience, it leaves nails smooth and evenly textured, allowing for easier and longer lasting nail polish application.